In this week’s Q&A, we interview Katie Krummeck and Rob Rouse, who are both educators at Southern Methodist University. Katie Krummeck is the director of the Deason Innovation Gym at Southern Methodist University. Rob Rouse is a clinical assistant professor of STEM education at Southern Methodist University. Trib+Edu: Tell me about your work at the Deason Innovation Gym. 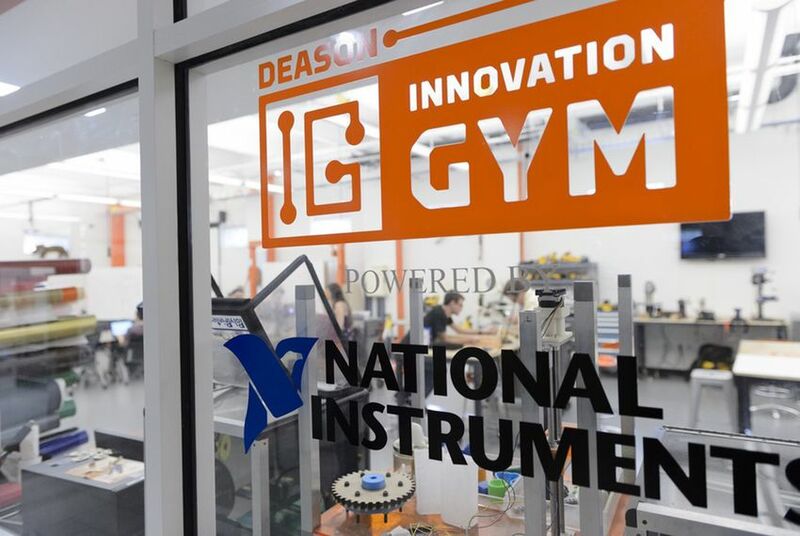 Katie Krummeck: The Deason Innovation gym is a collegiate makerspace housed at the Lyle School of Engineering at SMU. Once students have been oriented to the expectations and culture of the space, they get 24/7 access so they can card swipe in. Once they demonstrate proficiency on some of the tools that we have in the space, they can access and use those at any point. We also have staff who are there to assist and train people in using the tools. Students can use the tools to create projects for themselves, personal projects, and they can also use the tools to work on projects for class. We’re housed in the school of engineering but we really are focused trying to bring in students from all over campus. Rob Rouse: One of the ways that Katie and I collaborate is to give teachers experiences with these tools and also get them participating in mindsets that happen in spaces like the Deason Innovation Gym so that they can then feel more comfortable going to their own classrooms and their own schools and implementing this kind of instruction in a meaningful and sustained way. Krummeck: We want to have students from all over campus come down into the space because Rob and I both believe that taking abstract ideas and realizing them into the world in physical manifestations is an excellent process for developing also what we call affective learning objectives. Trib+Edu: What are the projects students are working on? What are the tools they’re using? Krummeck: We have the DIG on campus at SMU and we also have newly adopted and brought to campus a project that I used to work on at Stanford University that is known as the maker truck. It’s a mobile makerspace. In both of those spaces we have a mix of high tech and low tech tools — mostly digital fabrication tools, so things like a 3-D printer, a laser cutter, a vinyl cutter, a CNC milling machine, and then a bunch of powered hand tools and kind of traditional low tech hand tools and then lots of things that are traditionally seen as arts and crafts: popsicle sticks and googly eyes and simple circuitry parts. Anything basically that kids or adults can use to solve a problem or express themselves through making. We feel like all those things count, even though for most people the maker movement really means 3-D printers. We try to have an expansive perspective on that. At the DIG, we create these different projects and students sign up. For the most part they’re completely voluntary, so students aren’t getting credit and they’re not getting paid. They just want to join in and work collaboratively together on a project that’s going to push them and their skills. So a number of projects that we’ve done, we’ve designed and built a foosball table for the future from scratch. We did the woodworking, used some sensors and microcontrollers to create a self-advancing scorecard and flashing lights, and students modeled and 3-D printed SMU-themed players and handles, things like that. We had a project that was focused on using a piece of corrugated plastic to make a foldable boat. And then we also have done these sprints which we call immersive design challenges. Students work together for five-to-seven days intensively with a client to tackle some challenge. The immersive design challenge in the winter was working with a residential solar panel company and an urban planning nonprofit in Dallas to create a solar powered cellphone charging station that could be cheaply and easily manufactured and assembled and put in the public space without a lot of investment and money. We had about 15 students working on that project. This spring, our IDC was focused around actually rebuilding the inside of the maker truck. The students took systems that were not optimized, including how it was set up and how we ran power and how the tools were organized, and they stripped out the truck and rebuilt the entire inside to optimize the systems of the truck. Rouse: As I mentioned, I want these teachers to come and be jolted out of their comfort zone — to actually use tools that they haven’t used, to interact students in the engineering schools who they think perhaps have much more technical knowledge than them. I teach mostly practicing teachers in my graduate classes and they could be anywhere from kindergarten to high school. I said to them we’re going to use the DIG, we’re going to incorporate it into our class design. I posted a design challenge to them which was to come up with an open-ended design challenge that you might pose to your students that has some strong connection to K-12 STEM standards. We had a group of who did vinyl-cut stickers using the vinyl cutter in the DIG to get students to fully appreciate cell organelles. So they actually designed the stickers in software and then cut them out in different colors and then stuffed them onto the poster to illustrate the difference between animal and plant cells and then also what nerve cells look like. We had another group who built T-shirts that had electronic devices so they would actually signal which direction they were going if they were riding a bike so they could ride safely at night. We had another group build a topographic map using the laser cutter where they used specialized software that you can find on the DIG’s computer. They cut different levels so they actually modeled the Grand Canyon, and they cut different small pieces and stacked them together to come up with a scale model, a scale topographic map.